A gorgeous little "Pretty in Pink" bodysuit for your beautiful baby girl. 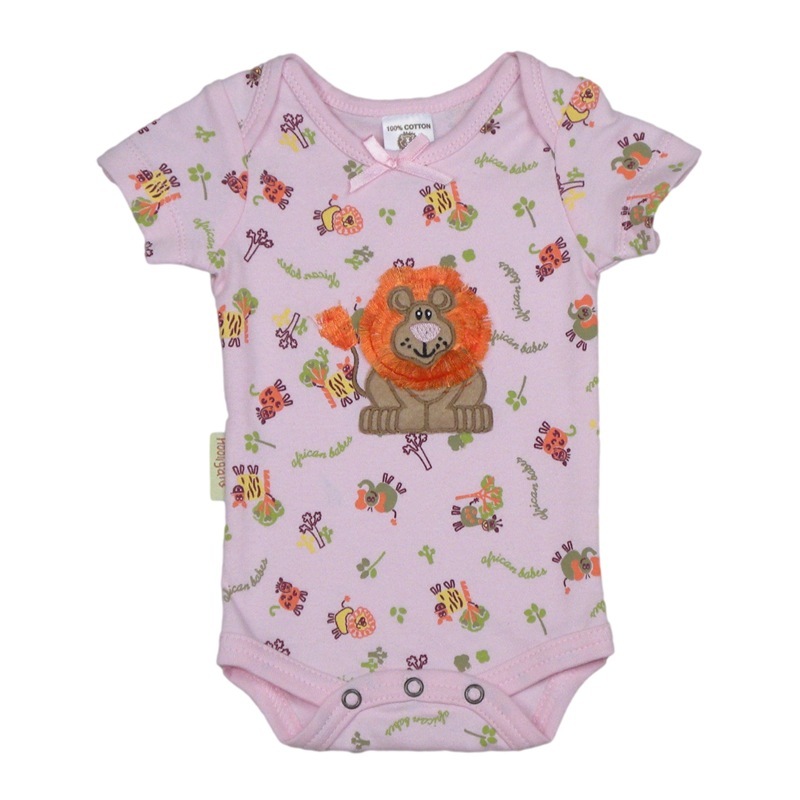 Stunning printed pink fabric forms the backdrop for an adorable appliqued & embroidered lion. In contrast, plain pink fabric creates the detail to the easy-on neck line & leg openings. Poppers for easy nappy changing are standard.